this new year of life. so you can use it in every situation. Always seek his will in all things. May God bless you with happiness. Great Birthday to you. God bless you! Free Christian Card. 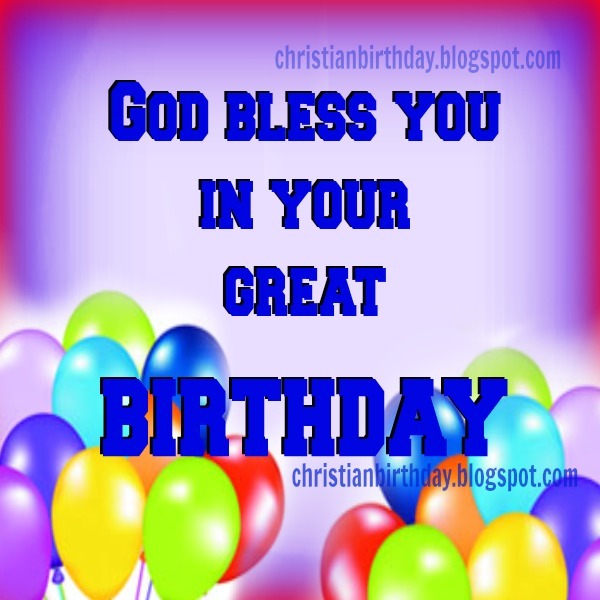 Free birthday christian images for friends and family. Free christian quotes. Blessings.